A great read for our Hawaii politicians thinking about what kind of laws they want for the upcoming legislative session. A pro-science group for farmers, scientists, students, skeptics, and the rational public to share resources, memes, critical thinking. GMOLOL actually helped me define who I am within this great GMO public information debacle – and beyond. Clearly I’m neither farmer nor scientist. My formal student days are long behind me though I continue to be a student of life. I am skeptical about certain things but do not consider myself a full-on skeptic. 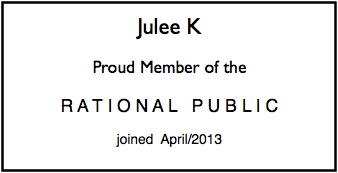 What I am is a card-carrying member of the rational public. Yay! I now know who I am and I like it. Thanks GMOLOL! I even worked this new designation into my blog heading. ← Priced out of Paradise: What’s Hawaii Leaders Doing?